When Power Rangers debuted in 1993, it featured one group of teenagers fighting threats from other planets for multiple seasons. Over the years, as the show expanded to include new teams and new threats, crossovers between them emerged. Crossovers between other Saban owned entertainment properties were added to the mix, and in more recent years, the Power Rangers have even met Wonder Woman and Batman. 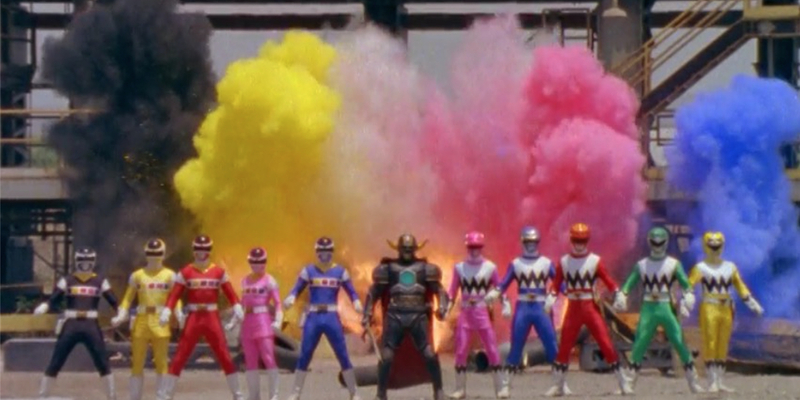 To date, the Power Rangers have crossed time and space to team up with each other, the Masked Rider, the Big Bad Beetleborgs, the Justice League, and more. Not all of these crossovers have occurred in the show, either. There have been a few times where comic book writers have been given the chance to unite the Power Rangers with a whole new hero, or group of heroes, as the case may be. Sometimes, things get a little crazy. We’ve got the 20 Craziest Power Rangers Crossovers for you to check out. One crossover that, sadly, won’t be found on the list was the planned crossover between the Zeo Rangers and the comic book team Youngblood. Rob Liefeld (yes, the same man who created Deadpool) completed the art for a Power Rangers Zeo comic, and was supposed to do the art for the team-up issues as well. While they were advertised, what could have been one of the craziest team-ups ever never made it to market. 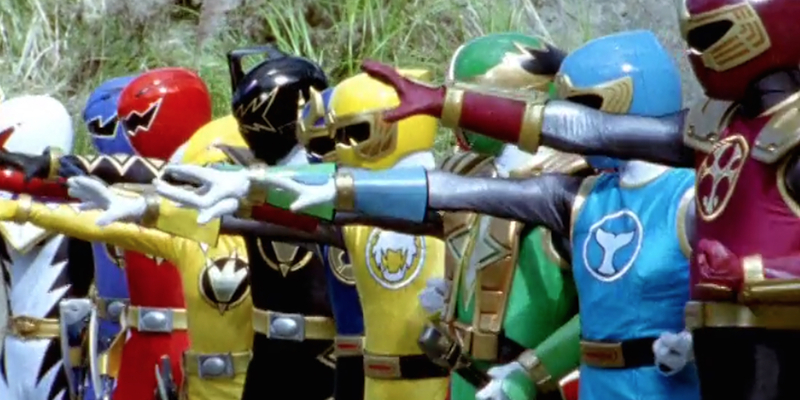 “Rangers of Two Worlds” marked the first official crossover between seasons of Power Rangers. The Alien Rangers of Aquitar, who had temporarily appeared for their own short season when the Mighty Morphin Power Rangers were de-aged to children, returned to team up with the Zeo Power Rangers. This episode marks the last appearance of one of the original Power Rangers, Billy, as star David Yost left the series prior to filming. Billy had begun rapidly aging thanks to the technology that had previously allowed him to age while the rest of the Rangers were still children. While the Rangers tried to find a solution, Lord Zedd and King Mondo were intent on destroying them, unleashing multiple monsters on Earth. The Alien Rangers returned to Earth to not only help with Billy’s aging problem, but also to defeat the monsters. In the end, Billy went to Aquitar, where he was returned to his normal age, and decided to stay. It’s one of the most straightforward crossovers the series ever did, though as the years went on, they certainly got crazier. Four of the Power Rangers who made up the In Space season were part of the second generation of Turbo Rangers. Though their Turbo powers were destroyed when they made the journey to space, one Turbo Ranger remained on Earth, and he appeared in an episode of Power Rangers In Space. Storm Blaster, one of the Turbo Rangers' vehicles, was actually the one to kick off the crossover. The sentient vehicle escaped their old enemy, though Lightning Cruiser was still in her clutches. When Storm Blaster tried to get help from the Space Rangers, they’re captured as well, so he went to Justin, the Blue Turbo Ranger (and the youngest Ranger ever). So many future seasons of the show feature the current team uniting with the previous team for a battle, and this was the In Space version. The problem was that the previous team was also essentially the current team, making a bigger crossover out of the question. Justin wasn't a fan favorite, so his return wasn’t welcomed, though it did indicate that Earth had someone protecting it while the Rangers were away. The Power Rangers In Space team spent a lot of time in the Astro Megaship, but they still returned home for a few episodes, including “Always a Chance,” which brought about the return of three-time Ranger Adam. The episode saw Carlos make a mistake in a fight, as a blast hit his teammate Cassie instead of a monster. Carlos decided if he couldn’t be trusted to help his team, he shouldn’t be a Ranger, and he returned to Angel Grove, where he ran into Adam, the same Ranger who chose Carlos as his successor. Adam, now an adult, is coaching soccer, but he still has his damaged morpher from the Mighty Morphin days. It’s Adam, using that damaged morpher to join a fight (which could kill him), who convinces Carlos that the risks that come with being a Ranger are worth it: they all know what they’re getting into when they become Rangers. It was less of a crazy crossover event, and more of an episode that taught kids that doing the right thing wasn’t always easy. Despite the popularity of Kamen Rider in Japan, Masked Rider (the U.S. version) didn’t take off quite as well. There was a single season of the television show to the 25 years of Japan’s, and only one issue of the comic. That issue, published by Marvel, featured a crossover with the Power Rangers once they had their Ninja powers. The Masked Rider had already found a home on Earth, having traveled to the planet from his birthplace of Edenoi. His enemy, Count Dregon, decided to give him a battle on two fronts, sending one monster to attack Earth and another to destroy Edenoi. The Power Rangers offered their help, taking care of the threat on Earth while he journeyed to Edenoi. The comic was the only team-up between the heroes. When the Lost Galaxy Rangers are forced to take on the Psycho Rangers, the Space Rangers make a trip out to the traveling space colony to help. Though the Psycho Rangers were captured during the In Space season, Deviot somehow got ahold of them and revived them in the time since, hoping to use them to take on his own Power Rangers. 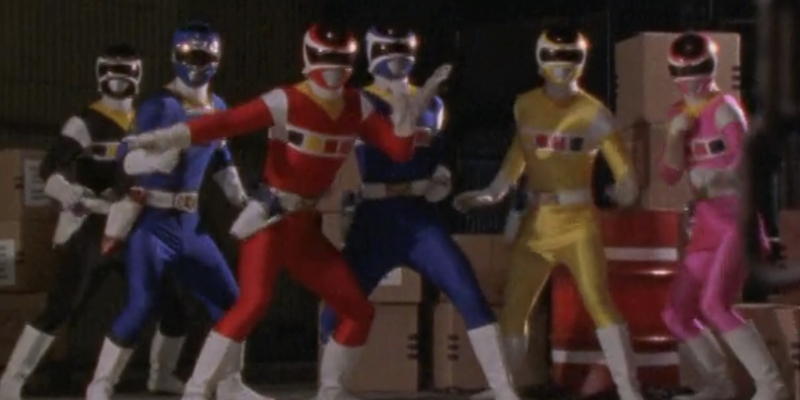 The Space Rangers get a distress call from Alpha-6 when the Psycho Rangers were revealed, prompting them to join the fight. Interestingly, the Sixth Ranger of the In Space season doesn’t appear (Justin Nimmo wasn’t available to reprise the role), but his morpher isn’t even stored with those of the other Rangers, suggesting he’s left the team behind. “To The Tenth Power” is only part one in a two-part team up, but part two ranks much higher on the list as the cliffhanger here - one of the Psycho Rangers is still alive - leading into a much more dramatic episode. When Power Rangers Lightspeed Rescue had several citizens go missing, the Lost Galaxy Rangers returned to Earth to lend a hand. Trakeena, the humanoid scorpion from Lost Galaxy, came to Earth in hopes of getting revenge, and in order to gain more strength, she kidnapped humans and used their life force. 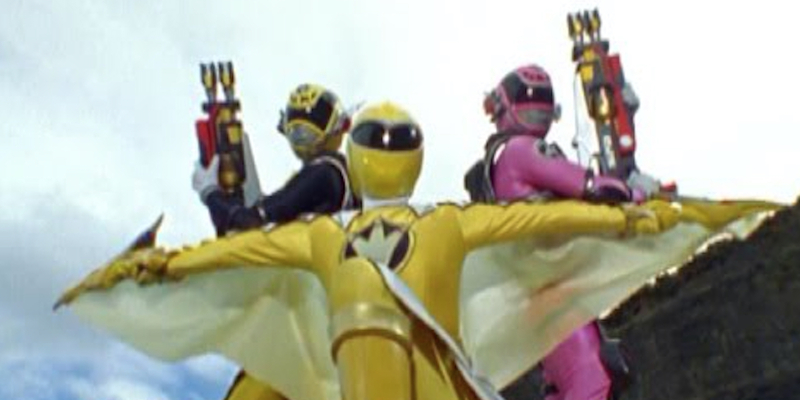 With such a big enemy causing trouble, it’s only natural for the Power Rangers who defeated her to show up, right? This episode isn’t the best of crossovers, which is why it lands so far down on the craziness scale, despite being big enough to get Power Rangers in a completely different galaxy to make their way to Earth. The problems stemmed from the fact that Saban teamed up with McDonald’s for a marketing scheme to release the two-part episode as a special 3D VHS before the show even got to the story point, meaning many things didn’t make sense to fans. The biggest complaint? Much of the focus was on a little girl whose mother was missing and the Lightspeed Ranger she asked for help, while the Lost Galaxy Rangers didn’t get much screentime. Even though Power Rangers RPM was set in another dimension from the the rest of Power Rangers, the producers found a way for it to cross over with Power Rangers Samurai, though only with the Red Ranger and an RPM villain. The Red Ranger followed the villain into this new dimension, though the Samurai Rangers weren’t sure they could trust him when he popped out of nowhere, interrupting their fights. The Red Samurai Ranger in particular was skeptical, hence the title. The two red-suited heroes were forced to work together, though, when the rest of the Samurai team ended up temporarily sent to the other dimension. Though the Red RPM Ranger says he’s unsure if he can breathe the air in this dimension, there is a real world explanation for him never removing his helmet (and fans never seeing his face). Eka Darville had begun to pursue roles in the U.S. following his Power Rangers job, and had joined the Screen Actor’s Guild accordingly. The show employed non-union actors, so Darville wasn’t allowed to physically appear. Once Power Rangers had been on the air for a decade, producers and writers decided it was time for a very special anniversary episode. During the Wild Force season, Red Ranger Cole was recruited for a mission that involved destroying Lord Zedd’s serpent-like zord so that no other villain could use it. Cole was recruited by none other than the Red Rangers who came before him. 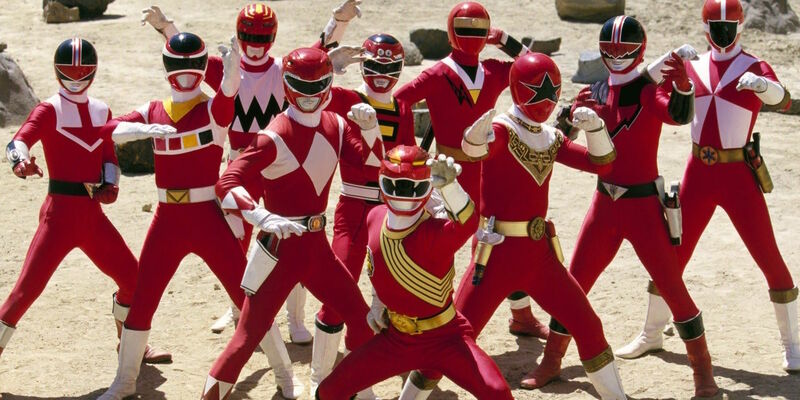 The show united all of the Red Rangers except for one - Rocky DeSantos. It might seem like a snub, but considering two people donned the Mighty Morphin Red Ranger uniform, and one of those characters won several favorite Ranger polls, it’s not surprising that Jason appeared instead. If you think the Red Rangers were the only ones to return for the big anniversary, this episode had a surprise in store. 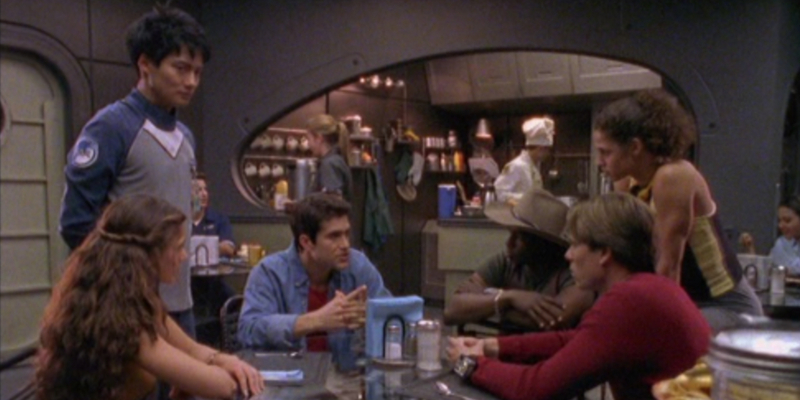 Archie Kao (Kai from In Space), Catherine Sutherland (Kat from Mighty Morphin, Zeo, and Turbo), Walter Jones (Zack from Mighty Morphin), Scott Page-Pagter (a series producer), and David Walsh (the series ADR director) all provided voices for the enemies the Rangers go up against as Easter eggs for fans. For the 15th anniversary of the franchise, the show did a new kind of team-up. 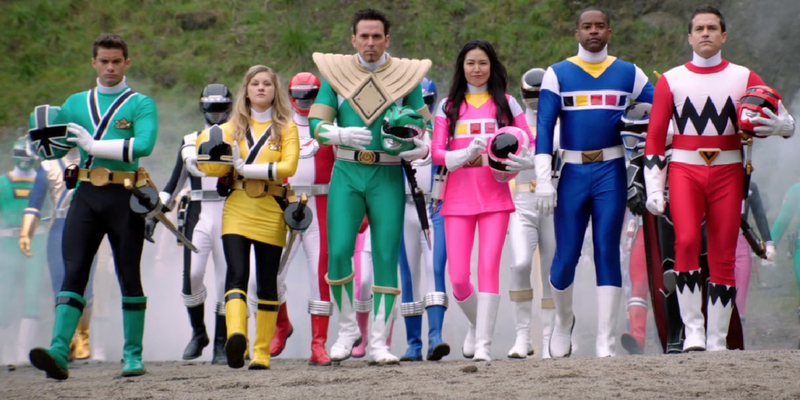 Instead of bringing the previous season’s team on to Operation Overdrive, the writers brought in veteran Rangers of various colors from different teams to help save the day. The craziness comes from the fact that these veterans are only brought in because when the Operation Overdrive team lose their connection to the Morphing Grid, they’re ready to call it quits and return to normal lives. 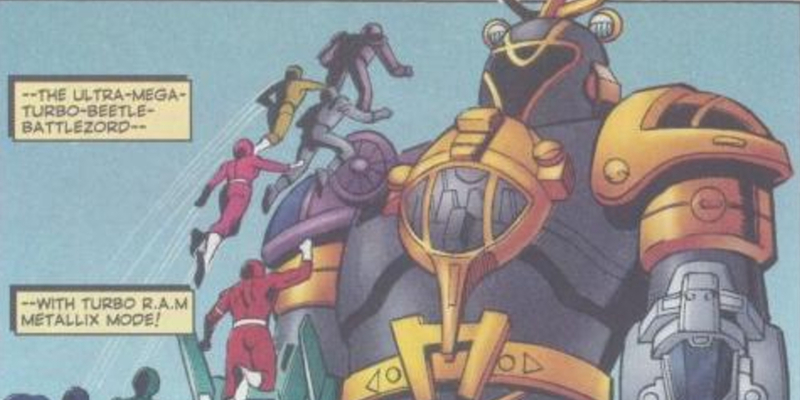 The veterans even pilot the other team’s zords, something that doesn’t happen very often in any Power Rangers series. Bridge (newly promoted to Red Ranger for SPD), Kira (Yellow Dino Thunder Ranger), Adam (again donning his Mighty Morphin Black Ranger gear), Tori (Ninja Storm Blue Ranger), and Xander (Mystic Force Green Ranger) unite to save the day. Kira is actually the Ranger who has worked the most with other teams over the course of the show. This episode also marked the only time Mystic Force participated in any kind of crossover event. Though the Power Rangers franchise and Big Bad Beetleborgs were both Saban properties, they never crossed over on television. Instead, Bulk and Skull read a Beetleborgs comic book now and then. In the comics, however, the two did meet. In 1997, Acclaim Entertainment’s comic book division published Saban Presents Power Rangers Turbo VS Beetleborgs Metallix. Divatox (enemy of the Rangers) and Nukus (enemy of the Beetleborgs) decided to team up, creating shapeshifting monsters that they could use to make the teams think they’re fighting each other, leading to the two groups of teens fighting for real. Of course, once the heroes figured out the truth, they worked together to take on the monsters. Given that Saban was also the production company behind Masked Rider, VR Troopers, Ninja Turtles: The Next Mutation, and the Mystic Knights of Tir Na Nog, there were plenty of '90s kids who hoped for crossover amongst the shows. Comics were the closest they got. Eric and Wes, as Silver Guardians of the Time Force series, track a couple of mutants into the area where Wild Force typically goes after orgs. When they contact their Ranger friends in the future to find out that they’ve actually been going up against mutated orgs, the Time Force and Wild Force Power Rangers, along with the reformed Ransik and Nadira from the Time Force season, unite. The ending to this episode makes no sense in that Ransik somehow manages to make himself completely human after defeating the mutant “parts” of the mutated Orgs. Also odd? There’s no further mention of Wes or Eric in the show, even though they’re from the present. What’s most surprising is that once the franchise introduced a team of time traveling Power Rangers, they didn’t cross over with more seasons. When you have a team of powerful heroes from the future, why not use them more? This is one of the few episodes where the team up used no Japanese footage, much like the next entry on our list. Two of the government sponsored teams of Power Rangers unite when an old enemy from Lightspeed Rescue makes an appearance and a play for a powerful gem in the Time Force season. One of the best things about this team-up? It revived Vypra, one of the most fun, but seriously underused, villains from the early seasons of the franchise. Vypra was destroyed in Lightspeed by her own master, but she managed to magically claw her way back from the undead. It’s a crazy mash-up of the two seasons of the series, as Lightspeed had the Rangers battling magical demon forces, while Time Force was (slightly) more grounded in its science fiction approach to the story by having all of its enemies be genetic mutations created in a lab. The result is that the two stories combined don’t make a ton of sense, but they do provide for a fun ride for longtime Power Rangers fans. 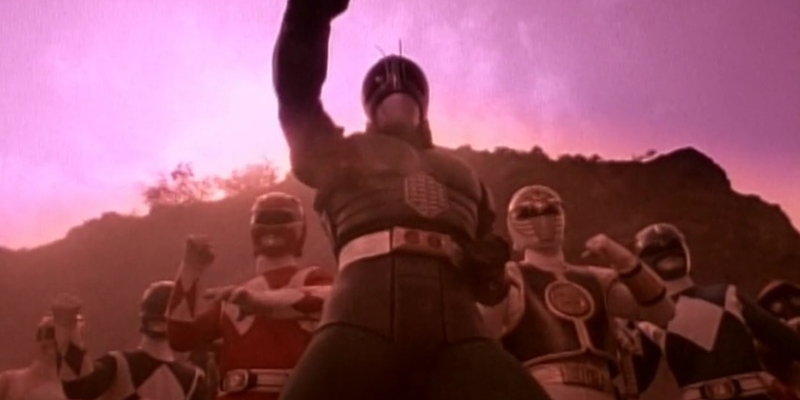 “Thunder Storm” brought the Ninja Storm Rangers into the land of the Dino Thunder Rangers - but as enemies, thanks to the Ninja Storm baddie Lothor. Lothor managed to escape the Abyss of Evil where the Ninja Storm Rangers sealed him in their finale, and he set out to beat the good guys again. This time around, he impersonated their sensei in order to give the original Ninja Storm trio evil morphers and get them to fight the existing Power Rangers. The Ninja Storm Rangers realized just what they were tricked into after their teammates climbed into the Abyss of Evil and got their own powers back in order to team up with the Dino Thunder Rangers. What makes this two-part-team-up even more fun is that Katrina Devine had a role in both seasons of the franchise. She played Marah, one of Lothor’s nieces who reformed at the end of Ninja Storm, and Cassidy, an aspiring reporter who eventually discovered the identity of the Rangers in Dino Thunder. The two even cross paths in the team-up as a fun wink to fans. 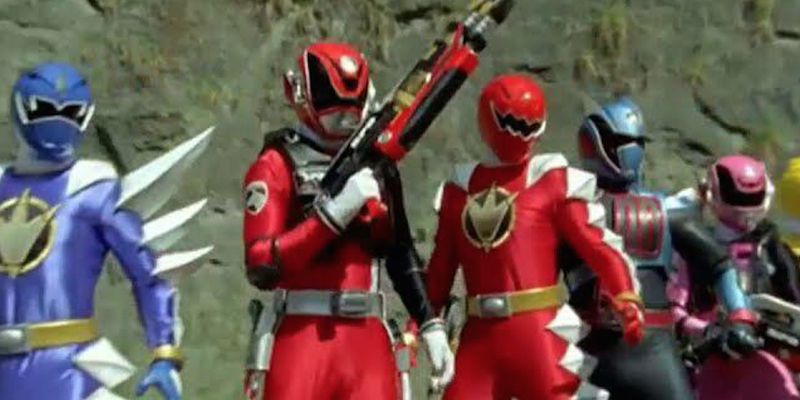 In the grand tradition of allowing the previous Rangers to team up with current Rangers, the Dino Thunder Rangers fought alongside SPD after the former were brought to the future and almost forced into being the bad guys. 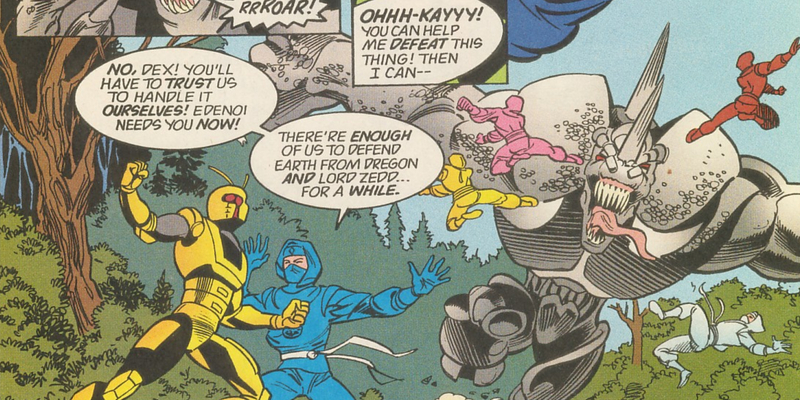 The Power Rangers’ enemy Broodwing found depowered dino gems on the planet Onyx (though we never find out just how so many lost items end up on that planet). He gets them recharged and intends on using the Dino Thunder Rangers, from 2005, to help defeat SPD in 2025. The plan doesn’t work out for the villain, as the Dino Thunder Rangers grab their gems and run. Perhaps Broodwing should have used the tried-and-true brainwashing method instead. 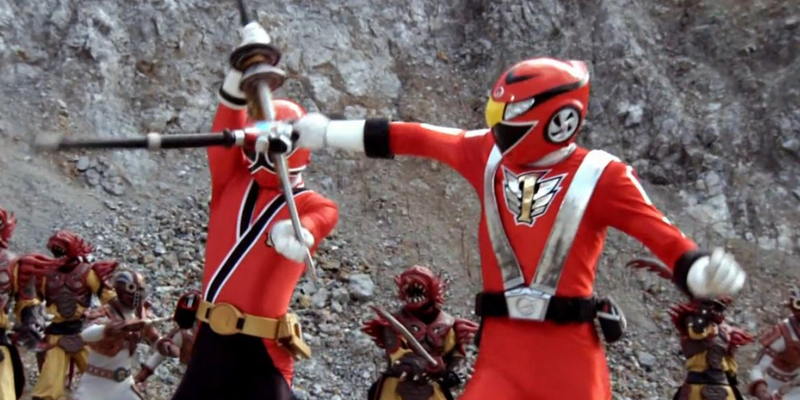 Though SPD tries to keep the Dino Thunder Rangers out of the fight to make sure nothing happens to change the team's history, the two teams work together in the end to defeat the monster of the week. One of the best aspects of this particular episode is that the audience gets teases of what the future holds for the Dino Thunder Rangers - Ethan becomes a software developer, Kira has a hit album, and Connor opens soccer camps. Surprise! 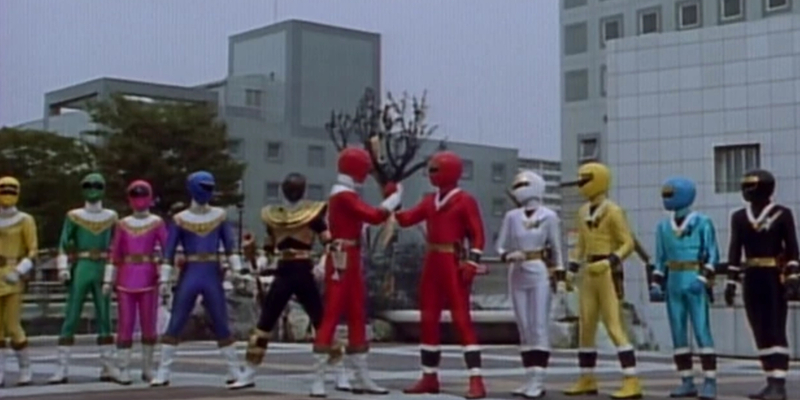 SPD didn’t just team up with the Dino Thunder Rangers once, but twice. Even though this episode takes place after “History” in the timeline of the SPD Rangers, it takes place before it for the Dino Thunder Rangers. In this crossover, Emperor Gruumm decides to take over the planet before SPD can become a nuisance. He travels through a wormhole to 2004 and aligns himself with Zeltrax, enemy of the Dino Thunder Rangers, to get the job done. The SPD Rangers follow him through the wormhole, intent on stopping him, and they have to convince the Dino Thunder Rangers that they’re friends from the future. The precaution is taken to not change the past or the future by erasing the memories of everyone involved. 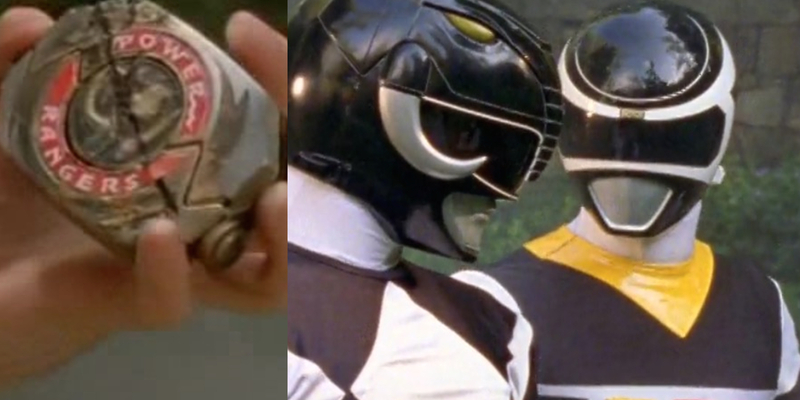 Cruger uses a device on the Dino Thunder Rangers first, then his own team, and then himself, though he doesn’t use it on any other Reefside residents, which makes you wonder if anyone ever tried to talk to the Rangers about an alien invasion. 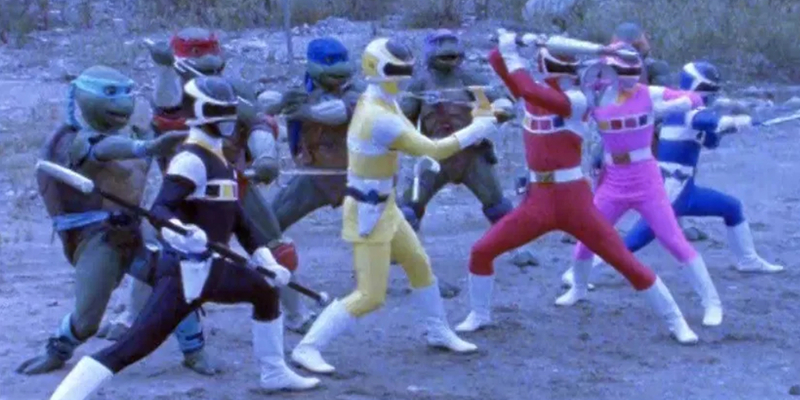 One of the first “crossover” episodes of Mighty Morphin Power Rangers turned out not to be a crossover at all. The story arc was planned to spin off the Masked Rider hero, but the episode wasn’t part of the Masked Rider canon when the new series began. The Power Rangers went to Alpha-5’s home planet of Edenoi to help out while Kimberly was the only one to remain on Earth, sick with a cold. She had to hold down the fort in Angel Grove when a monster attacked. While she battled a monster at home, the Rangers searched for the king that created Alpha-5, only to find his son, Prince Dex, was a masked superhero. When the Rangers “defeat” the evil Lord Dregon’s forces on Edenoi, it turns out that he followed them to Earth to begin his own attempts at conquering the planet. As a rival of Lord Zedd, he wanted to conquer Earth first. The Rangers go back to their everyday lives, though, and Edenoi and Prince Dex (who also comes to Earth to fight his enemy) are never mentioned on the show again! “The Power of Pink” wasn’t crazy because the story didn’t make sense or because it was so out there, but because it was a landmark episode. 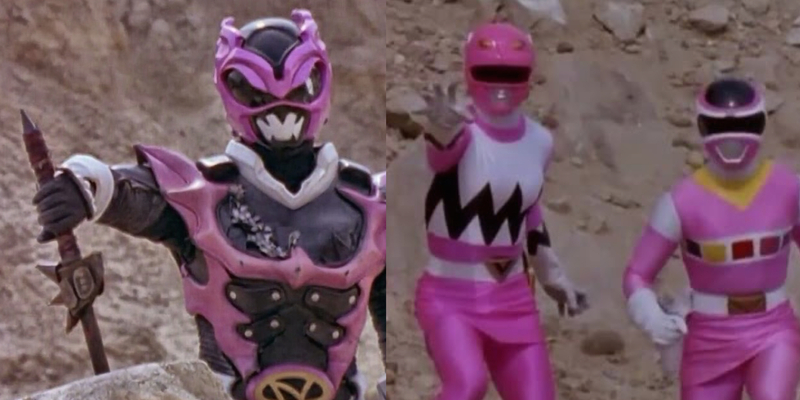 Though both the In Space and Lost Galaxy Rangers fought their enemies in "To The Tenth Power" here, Psycho Pink Ranger targeted the Pink Rangers on her own. Cassie would have been killed by Psycho Pink draining her powers if Kendrix hadn’t stepped in and sacrificed herself. It was the first time a major death stuck - until the season finale, that is. Unlike the opening episodes of Lost Galaxy, where the Red Ranger died and his brother took up the mantle, there was no immediate successor for Kendrix. Rumor has it that Cassie would have joined the team, but a pay dispute halted that. Karone, the reformed villain Astronema, got the spot instead in the next episode. Behind the scenes, Valerie Vernon (Kendrix) had been diagnosed with leukemia and couldn't undergo treatment while filming. The decision was made to write her out, but leave her in the credits so that the studio could help with medical expenses. She returned in the season finale once the actress was in remission. 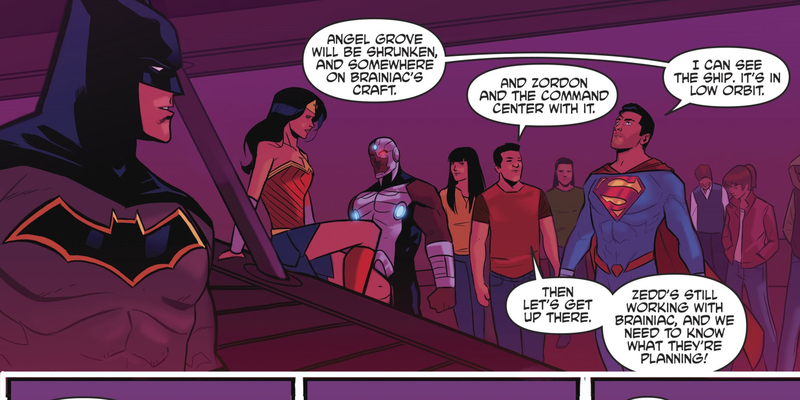 In early 2017, the original Power Rangers already had a movie reboot and a comic book series set within the universe of the show, but BOOM Studios and DC Comics went a step further and gave fans something they never knew they wanted: a team-up with the Justice League. In the series, the Power Rangers were transported to a new dimension, where they initially clashed with DC's greatest heroes. Once the two teams figured out that they were the heroes of their own worlds, they teamed up to take on old threats - Lord Zedd and Brainiac. With delays in the fourth and fifth issues, the publisher put the series on hold. Later issues will be released at an unspecified date. Fun fact: one Justice Leaguer got a nod way back in the first season of Mighty Morphin Power Rangers. Ernie, the owner of the local juice bar in Angel Grove, remarked at one point that he hoped the Power Rangers could clean up the streets of their city just like Batman did for Gotham. When the Armada outnumbered the Megaforce Rangers on a massive scale, they only had one option: call in as many reinforcements as possible. 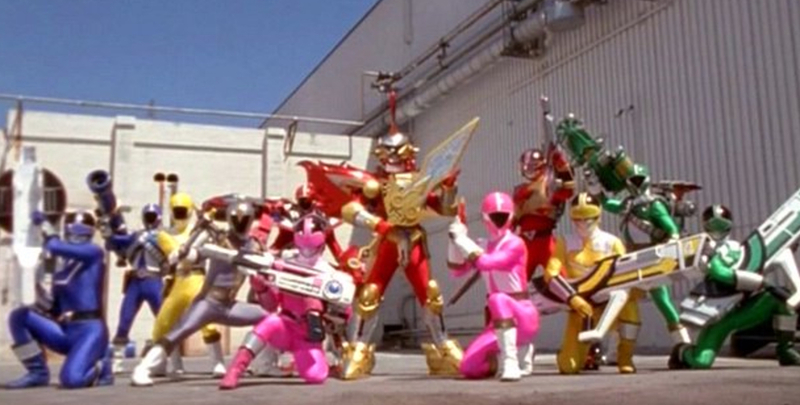 “The Legendary Battle” brought together every Power Ranger in the history of the franchise. The special used archived footage from the Japanese Super Sentai series for the big battle sequences, with only a few of the Power Rangers from previous American seasons appearing unmasked. It was peak nostalgia in a season that was already a love letter to longtime fans. Some fans might have been a little confused about just who was under some of those masks. In the Super Sentai series, the Mighty Morphin White and Green Rangers, the Red Zeo Ranger, and the Black Dino Thunder Ranger were all different characters across different seasons. In the U.S. version of the franchise, they were all the same character - Tommy Oliver. They all appeared in the battle, even though Jason David Frank returned for the episode in his fan-favorite Green Ranger gear. Okay, so what could possibly top the return of every Power Ranger ever? Saban produced a live-action television series called Ninja Turtles: The Next Mutation in the late '90s. It only ran for one season, and it never introduced April O’Neil or Casey Jones, but the Turtles did get the chance to meet another group of heroes in Power Rangers In Space. In “Shell Shocked,” the villainous Astronema decided that she needed someone strong enough to battle the Rangers that she could also control. She teleported a team of heroes from the sewers of New York and used some mind control powers on them to get them to think the Power Rangers were the bad guys - standard practice for any Power Rangers villain. Eventually, the Turtles were able to shake the mind control and join forces with the Rangers. While some adults might look back on this episode of '90s television and think it’s one of the cheesiest things to ever exist, for kids watching it for the first time, it was absolutely riveting. Two of the biggest superhero teams of after school TV went toe-to-toe in live-action in a fun and funny episode that allowed the writers to branch out from other Ranger teams for once. Are there more Power Rangers crossovers on the way? 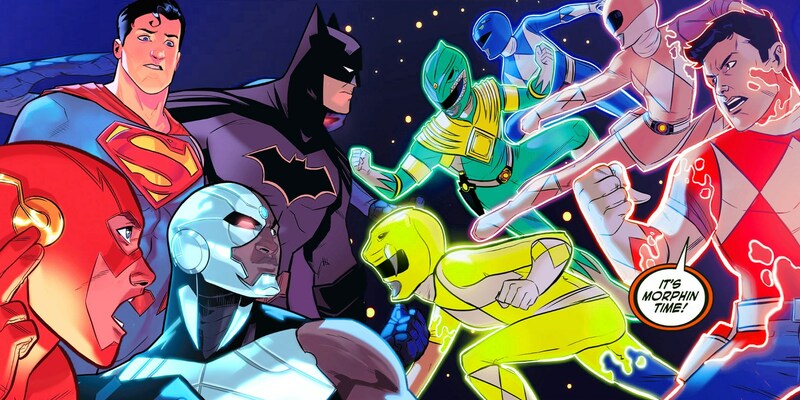 BOOM Studios has the comic book rights to the Power Rangers now, so readers could be in for more treats on the page like their Justice League team up.